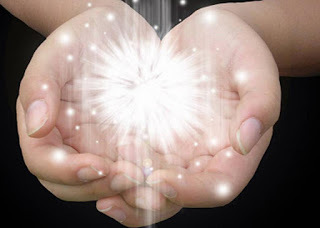 The 3rd level Reiki Usui is a Reiki Master preparation. The 3rd level includes the latest activation but precludes the instructions to activate other people in the course of Reiki Master. This path is relative to Reiki Usui known and widespread in the West, even the most practiced. And it is possible to attend a third level which excludes the possibility of teaching. It is definitely not an intermediate level and, to who wishes to become a Reiki master, you just have to attended the second level Reiki, obviously after some Reiki practicing , although it is recommended to prepare through the third level. Normally, the cost of the third level is then separated at the time of the Reiki Master therefore does not include any additional charge. The course is open to those who are not interested in concluding an important path started earlier, and who do not wish to activate or hold courses in Reiki, but after their own personal journey wish to end the cycle of Reiki attunements or Reiju also receiving the most important symbol left by Mikao Usui, the Dai-Komyo. The Reiki Master in fact has no personal merit, but is only an energy channeler of the Universal Energy that flows between the universe REIKI and his/her body, like a river. In fact, a first level can be compared to a stream, a second level of a river, a third level to a great river, such as the Ganges in India or the Nile in Egypt. An example very Taoist to see the energy flowing by a Reiki practitioner. The course has been included for some years by many Reiki master to give the possibility to receive the third and final harmonization of Usui even to those who intend to teach Reiki later. Obviously this course is shorter, since it excludes the teaching and the methods of activation. I reiterate that this is the path of Reiki Usui most widespread and still absolutely effective. We deliver the manual and certificate of 3rd level Reiki Reiki issued by the Reiki School in London.